Tech at Night: FCC’s Net Neutrality order is illegal. Wikileaks funding Snowden. Tech at Night: CBS mad the law isn’t TOTALLY stacked in their favor. Net Neutrality remains a scam. 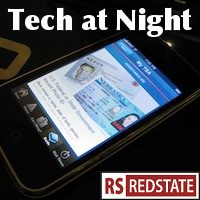 Tech at Night: NSA roundup. Germany shoots the messenger. Are the Europeans looking to censor the Internet with the NSA as pretext? Cameron Kerry seems to think so. I don’t know how serious or likely any proposals were, but it bears looking at if you’re a European. Meanwhile here in the US, the Internet control pretext is Net Neutrality, which ought to be struck down. The Communications Act never gave them that power, and the Telecommunications Act was pretty clear on an open Internet. The FCC has acted illegally. Have we empowered the NSA to fight parody? Seems so. Get ready for the outrage as Hotfile’s owner has been held responsible for files uploaded to it that were infringing on copyrights. Never mind the key fact, that Hotfile was paying people to upload and then distribute the links. This guy was more blatantly profiting from infringement than most. Worried about your privacy? Use encryption. How much effort you’re willing to put into it tells us how much you care about privacy. Wikileaks, the co-conspirators of convicted felon Bradley Manning, are funding Edward Snowden now. Figures.